On the 6th of February 2019, negotiations were held at the MFA of Turkmenistan between the Minister of Foreign Affairs of Turkmenistan and Minister of Foreign Affairs of the Russian Federation Sergei Lavrov, who arrived to our country on a working visit. During the talks, the heads of external policy agencies of two countries discussed current issues of bilateral strategic cooperation in political-diplomatic, trade-economic and cultural-humanitarian spheres. Particularly the aspects of strengthening cooperation in the sphere of energy, transport, communications, science, education and sports were considered. Also, issues of the international agenda, developments of cooperation between two states in the framework of the United Nations and other international organizations were considered, while special attention was paid to partnership in the CIS taking into account the priorities of Turkmenistan’s chairmanship in this organization in 2019. The parties discussed collaboration of two countries on the Caspian problems, implementation process of resolutions, adopted during the Summits of the Heads of Caspian states and determined priority directions of cooperation on this issues taking into account the support shown by the Russian side to the initiative of Turkmenistan on holding the First Caspian Economic Forum in August of current year in the National Tourist Zone “Avaza” as well as the decision to carry out the Sixth Caspian Summit in Turkmenistan. 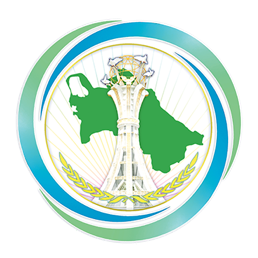 Upon completion of the negotiations, the heads of external policy agencies of two countries signed the Program of Cooperation between the Ministries of Foreign Affairs of Turkmenistan and the Russian Federation for 2019-2020. In the framework of the working visit, the Minister of Foreign Affairs of the Russian Federation S.V.Lavrov gave a lecture in the Institute of international relations of the MFA of Turkmenistan, which was also attended by the students of the International University of Humanitarian Sciences and Development. The faculty members and students had an opportunity to address questions to the Minister of Foreign Affairs of the Russian Federation Sergei Lavrov on bilateral relations between two countries. The head of external policy agency gave comprehensive responses to all the questions posed.